Of all the things you take with you on a camping trip, your tent might just be the most important. A high-quality, well cared-for tent can make the difference between the trip of a lifetime and a trip you remember because you were wet, cold, and miserable. Tent quality is one thing, but it’s also crucial to take good care of your gear and to use it safely. 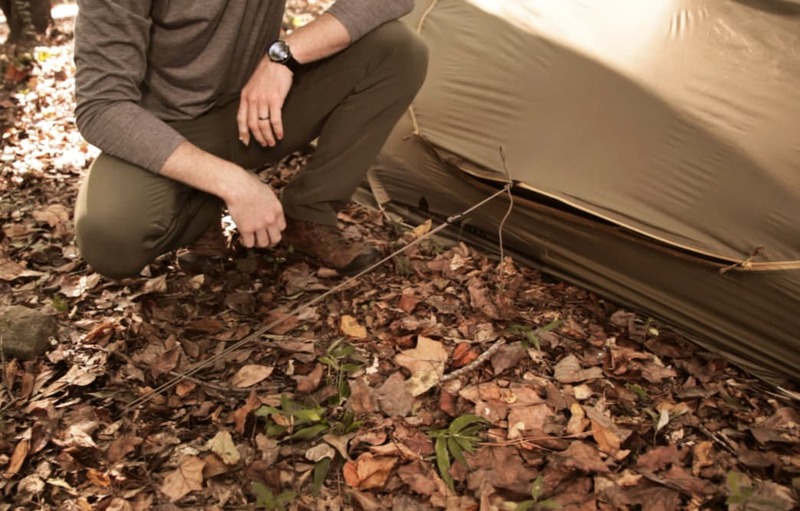 Whether you’re a first-time tent owner or an expert at spending nights in the woods, these tips for the care and keeping of your tent will cover the bases. 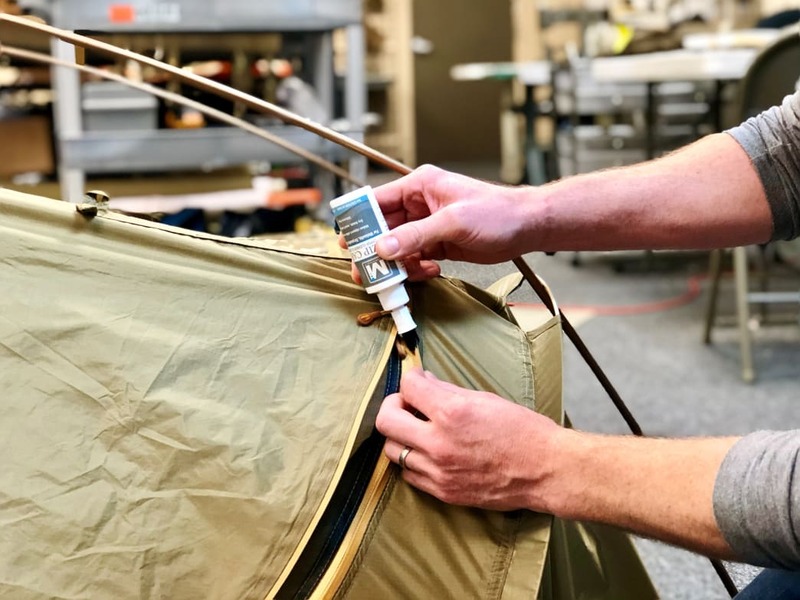 One of the most critical aspects of tent care and camping safety is keeping open flames, matches, and sources of fuel and heat away from your tent fabric. Tent fabrics tend to be flame resistant, but they’re not fireproof—which means when sparks fly, it’s possible that you’ll end up with holes in your tent. Set up your tent well out of range of campfires and cooking areas. When in doubt, use battery-operated devices in and around your tent (like battery-operated lanterns rather than older fuel-powered ones). If there’s one thing you can always count on in the great outdoors, it’s that weather can change quickly—which means any time you leave camp, you’ll want to batten down the hatches. You might think you’re just leaving your tent alone for a few minutes to get something from the truck or explore the rest of your campsite, but if it gets unexpectedly windy, you could be left without a tent to come back to. Catoma’s proprietary X3 stakes hold fast in many soil types, just be sure to drive them all the way into the ground, leaving only the head exposed in order to prevent tripping or breakage. Before you leave the area, stake out your tent, secure the guylines, and, if you’ll be gone for more than a few minutes, zip everything up. 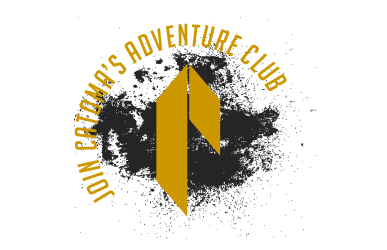 Many Catoma tents are designed with ventilation flaps. It might seem like tents are made of breathable material, but the same fabric that keeps bad weather out can also keep gases in. Keeping part of your tent unzipped, whether it’s a section of the door or a small window, will ensure that your tent is properly ventilated. Look for a tent designed with ventilation flaps built in to allow air exchange without exposing you to insects or moisture. Even when it’s cold outside, letting in plenty of fresh air can literally be a lifesaver; you don’t want to run low on oxygen while you’re sleeping. Over time, the chemicals found in insecticides, bug repellent, and aerosols can degrade the waterproofing on your tent fabric, or even, in some cases, burn holes in the fabric itself. If you’re in an area where you need bug spray, apply it—and any other harsh chemicals—away from your tent. If you’ve ever had to break camp in the rain, you know it’s not exactly something you want to take your time doing. When possible, though, it’s better for your tent to let it dry out before packing it up. Tents that are packed when wet or even damp can form mildew that’s difficult to remove and begin to dry-rot long before the end of their natural lifespan. If you’re in a hurry to pack up your tent, be sure to take it back out of the bag and dry it out when you get home. For best results, set it up in a garage or basement (anywhere that’s dry) just as you would outside. Well-tied guylines buoy your tent against strong winds. Your tent’s included guylines have two jobs: to keep you dry and to make your tent stronger. When it’s wet or windy outside, taut guylines keep the fly off your tent—it’s when the fly touches the tent body that you’ll end up with moisture or, worse, a puddle on the inside. Well-tied guylines also buoy your tent against strong winds, which can collapse tents and even break poles in extreme situations. These little pieces of paracord can go a long way in harsh conditions, so make sure to guy out your tent whenever there’s harsh weather in the forecast. In areas where the terrain is more rugged or rocky, a groundsheet can mean the difference in an early grave or a long healthy life for your tent. 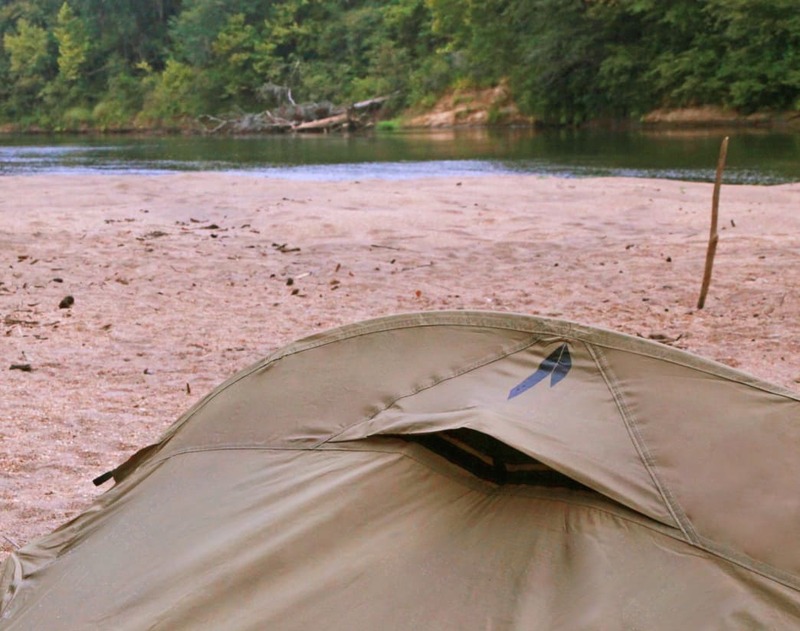 It’s much easier to replace a groundsheet than an entire tent, so let it take the brunt of the abuse your terrain may dish out. A groundsheet that matches the footprint of the vestibule, not necessarily the tent body, allows you to have a clean dry place under the rainfly to store your gear. If your dog can’t be unsupervised around camp, your best bet is to put him in a crate or exercise pen—a strong dog can pull even the most well-staked tent out of the ground if he sees a squirrel across the campground. It can also be harmful to your dog, who could get tangled and stuck if tied to the flexible material of a tent. When it’s time to hang up your tent for the season, find a cool, dry place to store it. Make sure your tent is clean and dry before you put it away for a few months, as the mold that can form over the course of a winter can be hard to get rid of. If you own a Burrow or Badger, we recommend not to store it in its final coiled configuration but to open it up to the larger ring and lay it flat or hang it to preserve the elasticity of the fiberglass pole. These products are designed to withstand being stored entirely coiled, but it’s a good idea to protect it if it will be stored for a long period of time. When you’re ready for camping season again, do a careful inspection of your tent and poles for any wear-and-tear. Even if there’s no bad weather in the forecast, leave your tent’s fly on as much as possible. The fly sheet is meant to protect the tent body from harmful ultraviolet rays, which can be damaging to the fabric over many uses. Treat both fly and tent body with a UV protectant periodically to lengthen their lifespans. Even the most durable tents will need some attention at their most vulnerable places throughout their lifetime. One of the first places your tent may fail is at the seams. Catoma tents come completely seam-sealed, however, over time, the seam tape can begin to deteriorate or detach. In this scenario, you can simply pull the seam tape off of the seams and repaint the seams with a tent-specific seam sealer. Use a zipper lubricant to extend the life of your tent. Zippers still represent one of the weakest points on any tent. Over time, zippers can collect dust and debris in the teeth, causing the slider to simply derail, or worse, to damage the teeth or sliders themselves, putting your entire tent out of commission for good. You can eliminate this with a simple two-step process once every few camping trips. First clean your zipper with either soap and water or a compressed air canister. Once the tent is dry, use a zipper lubricant along each end of the zipper chain and spread it throughout the teeth by sliding the zipper slider from end to end. The lubricant can be a zipper wax or a light silicone lubricant. Silicone is nice because it prevents debris from sticking to the zipper on the next trip. Written by Emma Walker for Matcha in partnership with Catoma.